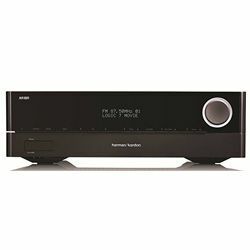 Having tested and compared Harman Kardon AVR 1710 vs Denon AVR-X4400H, I would like to share my experience to help you choose the model that meets your requirements. 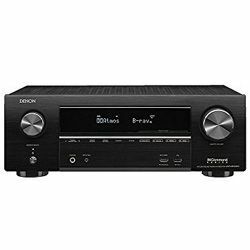 One of the first differences is that Denon AVR-X4400H supports a 9.2 channel (11.2 channel processing) and AVR 1710 supports a 7.2 channel setup. Still, AVR-X4400H is also more powerful – the total power output is 980 W – compare it with the output power of AVR 1710, which is 700 W. Denon uses the Auro-3D system and the DDSC-HD circuitry with AL32 multi-channel processing. 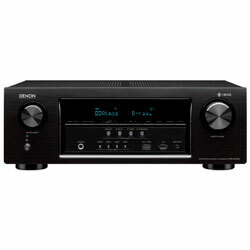 AVR 1710 supports DTS-HD and Dolby TrueHD. Both models support many audio and video formats. 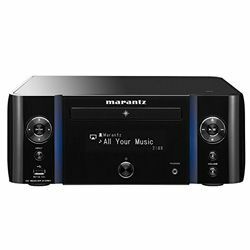 AVR-X4400H has Bluetooth and Wi-Fi modules (it also features the HEOS technology), while Harman Kardon AVR 1710 has only a Bluetooth module and it supports AirPlay, DLNA 1.5 and streaming. Both solutions support the multi–room technology. Please note, you may have problems with AVR 1710 ports – they get noise, flickering video, etc. Comparing Denon AVR-X4400H vs Harman Kardon AVR 1710 in terms of ports – Denon has 8 in and 3 out HDMI ports, while Harman has 6 and 2 ports respectively. AVR-X4400H uses the Audyssey technology and AVR 1710 uses the EzSet/EQ III system to auto-calibrate and control the output sound. These technologies are quite precise. Both manufacturers provide you with the required microphone. You can also tune the settings using a special menu. AVR 1710 has a large knob, an LCD display with the buttons right under it. It has a small flap that covers the “phones” and the “setup mic” ports. AVR-X4400H has two knobs and a simple LCD display between them. Behind the front cover, you can find more buttons and additional ports. The dimensions are 11.8x17.3x4.8 in for Harman Kardon AVR 1710 versus 17.1x15.3x6.6 in for Denon AVR-X4400H. The output sound quality is amazing – it is natural and clear. You get no distortion or noise. Many features which are easy to use. The remote controller has separate buttons for main sources only – you cannot cycle through all cycles. The UI may be confusing. The calibration process is fast and precise. The output video is clear, the output audio is natural – you can hear dialogues perfectly. The user-friendly UI makes it easy to set up. The Bluetooth module is not stable – you can lose a connection. The receiver may become very hot.